Statewide registration of Tennessee birth and death records began in 1908. Tennessee birth records for the entire state are available by written request, for a fee, and with proper identification, since January 1908. Records are also available for Nashville since June 1881, for Knoxville since July 1881, and for Chattanooga since January 1882. Birth enumeration records by school district are available for July 1908 through June 1912. Birth records more than 100 years old are maintained by Tennessee State Library and Archives (http://www.tn.gov/tsla/history/vital/vital.htm). For more information on Tennessee birth records, visit http://www.tennessee.gov/tsla/history/mailstat.htm#Births. The Tennessee Vital Records office keeps death records for 50 years, and older records are maintained by the Tennessee State Library and Archives (http://www.tn.gov/tsla/history/vital/vital.htm). 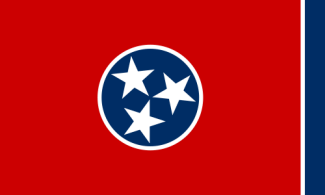 For more information on Tennessee death records, visit http://www.tennessee.gov/tsla/history/mailstat.htm#Deaths. Some printed and microfilmed copies of Tennessee vital records are available electronically through email at http://www.tennessee.gov/tsla/history/mailstat.htm#e-docs. Record Access Requirements: Must have a signed release from person of record or immediate family member for certified copy. Medical and health information is not released. Search Note: Daytime phone helpful. Record Access Requirements: Must have a signed release from immediate family member. Cause of death is restricted to immediate family members or their representatives and must be specifically requested. Note: Include copy of government issued ID of requester. Daytime phone helpful.